Hello all! I hope you’re enjoying the Popgoes subsite. There are a few unpolished parts here and there, as well as a mistake or two. But, I feel the site certainly was worth the ~3 cumulative months (with 7 months worth of delays) that’ve been sunk into it! I’m quite happy that everyone’s enjoyed and, and though I didn’t expect it, that there was absolutely no backlash whatsoever. Today is a very special day for me. I am now 24 years old! Today is my birthday, and this time, I’m determined to make a good announcement post. The last post for the site’s birthday went down like a lead balloon in the end. So I hope this one will pique some interests. I’m very excited to announce the FNaFLore Writers Corner! This is going to be a big boon for theorists and the site. I am going to open the doors of FNaFLore.com to 5 of the top theorists in the community, so they may use the site to post their own articles! It will be launching with a very curious meta-article from Momerator, and will then be thrown open to the other big theorists in the community! I’ve PMed each theorist I deemed prominent and reasoned enough to make a good addition, and 5 of them have accepted the offer. 1 sadly seems to have left the community, and did not get back to me. To be fully transparent, here’s what this means for both the community and the site. A single base of quality theories that can be edited, moulded and corrected based on user input. The use of embedded images, as well as advanced formatting (headers, dividers, coloured text, tables etc). Theories that no longer fall into obscurity, as they do with the Freddit submissions. An increase in editorial content on the site, as well as a much wider range of theories. A much more vocal and prominent theorist base, at a time where die-hard theorists are a dying breed. Theory posts (Full and detailed posts regarding the lore rundown of the game). Observation posts (Smaller posts that focus on smaller events in the series). Discussions (Groups of theorists and friends discussing the lore of the game, bouncing ideas off of each other). Meta-theories (Theories on the design of modern animatronics, pizzeria incidents and other IRL comparisons). Community-focused articles (Discussion of the fanbase, current events relating to FNaF or talking about fan content. Gotta love that drama). Spark more actual conversations on the lore. Keep the site more updated on a content basis, by way of theorist articles. Increase our popularity and relevance within the community. Engage with the community more for feedback and lore ideas. Though exceedingly unlikely, try to find the actual lore of the game. These articles will be grouped to their respective categories on a brand new community page. We’ll also be trying to promote the use of the FNaFLore Discord and Forums. We’re very excited at the future prospects of the site’s growth, and we will be happy to welcome these users on board. I’ve given them free-reign. So long as there’s no illegal or hateful content, go wild. I do not know if the specific range of contents described in 2nd list will all be reached. Some parts may need re-jigging. But I am very happy to announce this new program. The section has not got a set release date, but I’m almost certain the technical issues can be ironed out in the next few weeks. Then it’s a matter of teaching the theorists how to navigate the site and use the editor. I’d hope to get the first post sorted within the month, but it may take a bit longer. I hope you all have a very good day! I’m certainly hoping mine will go well. 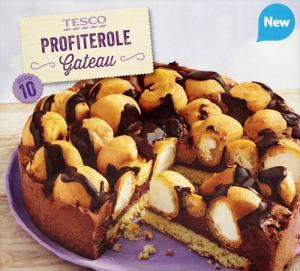 I’m expecting a nice Profiterole Gateau as my cake this year, so I’m hoping it’s gonna be a good birthday! The only disappointment is that White Malteasers are still not a thing anymore. Such is life. If you’d like to give me a present of any sort, perhaps pester them a little to get those sweet snowball bites back on the shelves. Lets see if we can use the FNaF community-mob powers for good. Thanks again for all your support, feedback and kind words/art! I hope that in the future, I’ll be able to keep you all entertained and theorising, or at the very least, try to help keep that theory train going. Expect more exciting announcements in the coming months concerning games, page updates and the return of everyone’s favourite Fleshmonger in a special project I’ll be working on! PS: As a sidenote, before we get drowned out in contact emails, we’re running this as a very limited program. We will only be approaching the cream of the crop here, at least for now. People who post theories regularly, stir debate, write with exceptional command of the English language and are the last few people who are still interested in solving the lore. We are not looking for more theorists at present. 5 theorists at launch is quite enough to test out this system!